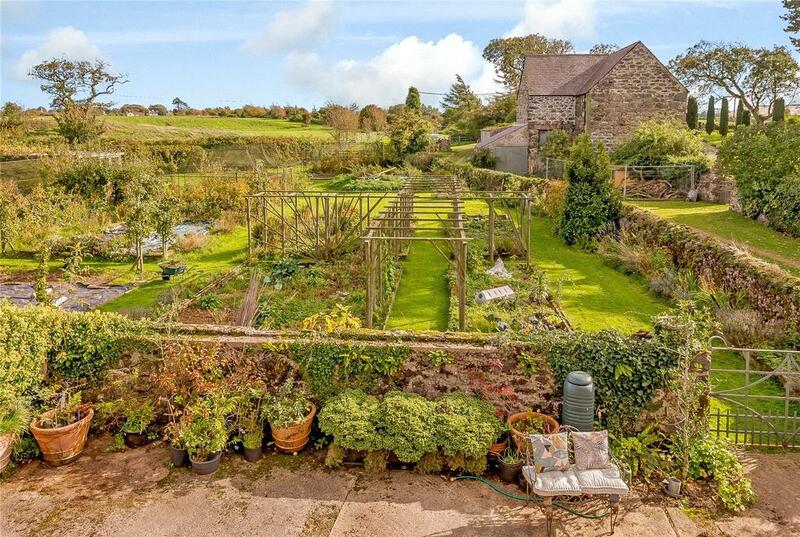 This glorious home features a house that bears the mark of Portmeirion's architect, some of the greatest snowdrop gardens in Britain and a delightful Dower House that offers a chance for someone who is after a project to get stuck in to. 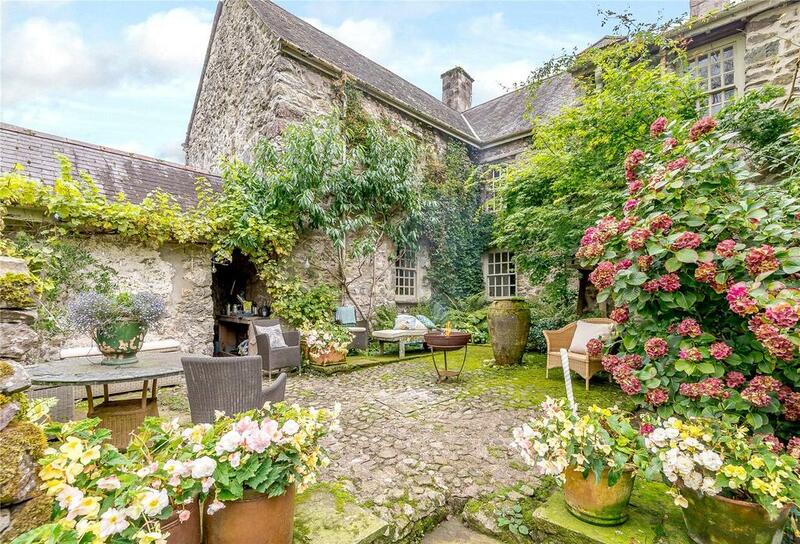 ‘Ty Fry is a magical place which has been much loved and will continue to win the hearts of all those lucky enough to live there’ says the owner of this majestic house in Anglesey, for sale through the Chester office of Strutt & Parker at a guide price of £1.5 million. Its Historic England listing describes it rather less emotively, yet in its own way in equally glowing terms, as ‘an excellent mid-17th-century house with good coherent exterior character, and a fine interior’. For Bells Lewers of Strutt & Parker, Ty Fry is all these things – and more. 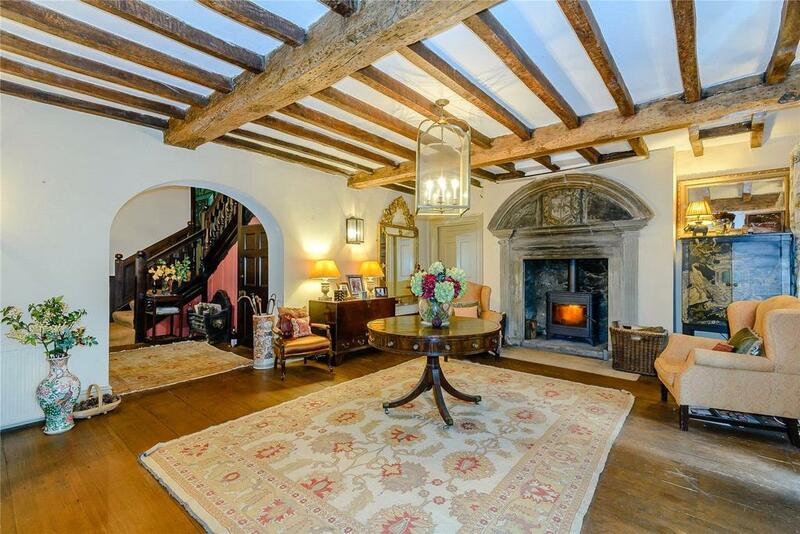 Among Ty Fry’s many fine historic features are the high-beamed ceilings, chamfered beams, moulded cornices, painted panelling, original oak staircase and magnificent arched stone fireplace in the entrance hall, which incorporates the Owen Williams coat of arms. 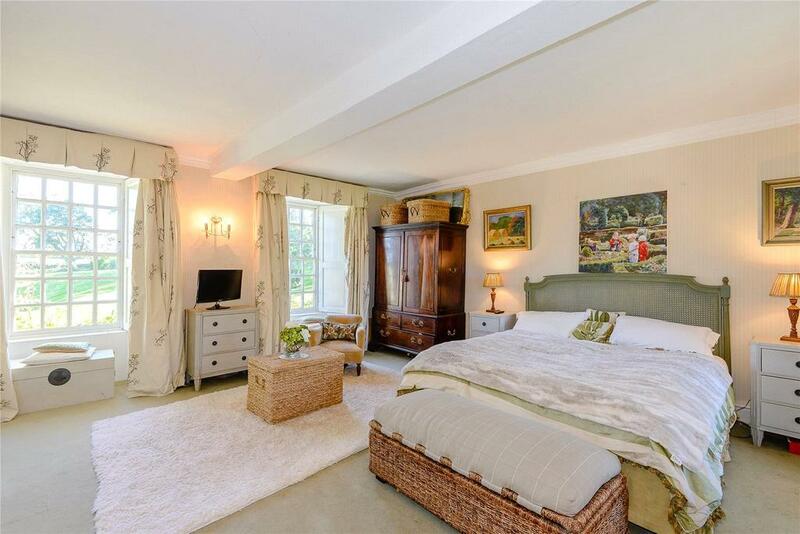 In all, the house has six reception rooms, seven bedrooms and four bathrooms, the whole set in 34.4 acres of historic gardens, grounds and pasture. The present owners of this Grade II*-listed house near Menai Bridge weren’t looking for a restoration project when, in 2005, they walked up the drive and ‘completely fell in love’ with the house. Some previous structural renovations had already been carried out on the main dwelling, which was therefore sound, although the interior needed improvement and some basic repair, including painting and decorating, reinstating fireplaces and so on. The gardens were completely hidden, but it was clear on walking around the grounds that there were major landscaped gardens underneath. Over the years, the rundown manor house and its two-bedroom cottage have been sympathetically restored, with only the Dower House still in need of full renovation, although it has already been re-roofed and some of the stonework repaired. The building, which conceals a beautifully intact dovecote built to accommodate more than 100 birds, could potentially provide additional four-bedroom accommodation, the cost and scope of which would depend on a new owner’s requirements. Once part of a 600-acre estate, the Tudor house at Ty Fry was modified in 1679 by Owen Williams, scion of one of North Wales’s most illustrious families, to create the present manor house. 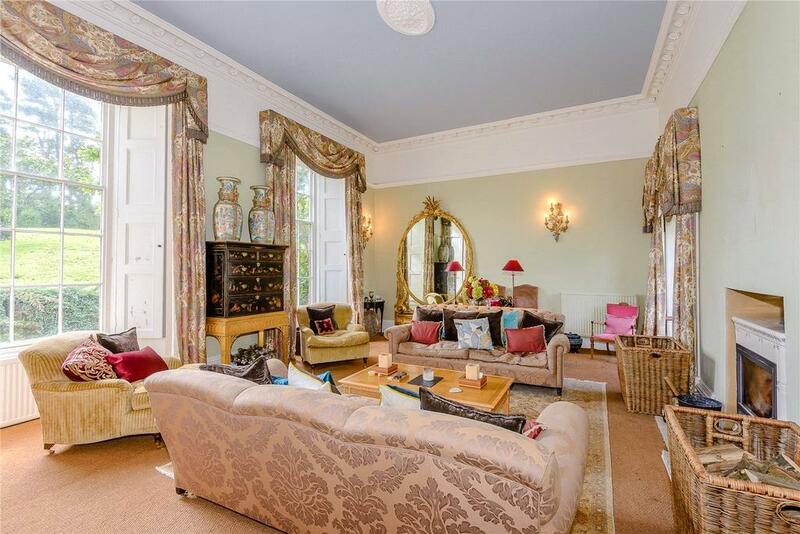 This was extended in 1805 to provide an impressive drawing room, which was later redesigned by Sir Clough Williams-Ellis of Portmeirion fame. The wonderful woodland gardens at Ty Fry, all listed Grade II* and entered on the Register of Parks and Gardens of Special Historic Interest in Wales, include large natural rock formations enhanced to create raised walkways and viewing platforms. Clearly of strategic military importance in ancient times, these platforms guard the neck of the small valley running up to Ty Fry. From these vantage points can be seen the mountains of Snowdonia to the south and east and a vast tract of Anglesey to the west; the house nestles unobtrusively below. The gardens have been cleared to show the structure of the walkways and viewing platforms, although the scope for further restoration is unlimited. The snowdrop gardens are among the most extensive to be found anywhere in the UK and, until relatively recently, the snowdrops were picked by hand and sent daily by mail train to be sold in the flower market at Covent Garden. Ty Fry is for sale through the Chester office of Strutt & Parker at a guide price of £1.5 million.